TennoLive is an exclusive live community event hosted by the Warframe Development team to reveal details of upcoming content and gameplay plus, have fun gettting to know their fellow Tenno in real life. Details revealed at TennoLive included the unveiling of Parkour 2.0, a new enemy faction, a new Dragon-themed Warframe, new Melee Weapons, and a New Prime Warframe. With the new Parkour system coming, Warframes will have new ways to navigate both new and familiar tricky areas with swag moves. There will be a trio of new weapons to wield while doing so, including the Community Concept weapon, the Mios, the Puncture Glaive and the Dark Dakra, in honor of the two year-anniversary of Warframe. Introducing a little bit of mythical mystery; a new dragon-themed Warframe, Chroma, was introduced to the thundering approval of fans both live in the audience and watching at home on Twitch. 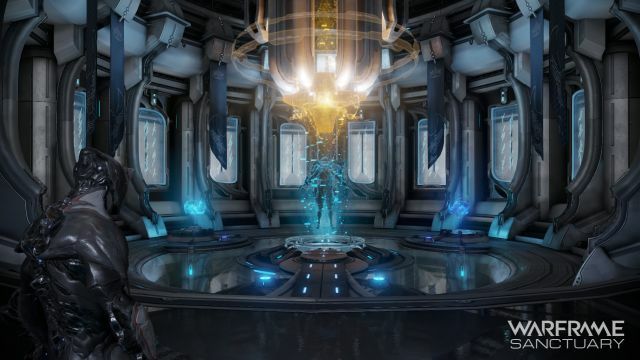 Additionally, Volt was revealed as the latest Warframe to soon receive the gilded Prime treatment. Players will also be treated to a new enemy faction named the Sentients as well as a new PvP-focused capture-the-flag mode, ‘Capture the Cephalon’ and a new Sanctuary area. Catch the streaming schedule for War Thunder's Gladiators.WT 4x4 tournament on March 29 and 30.